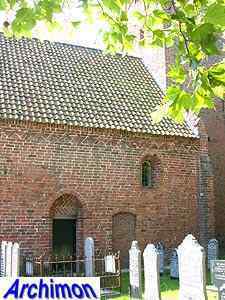 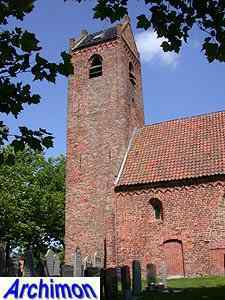 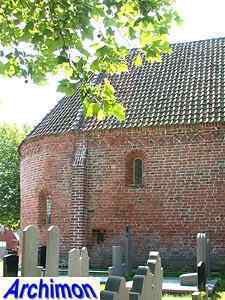 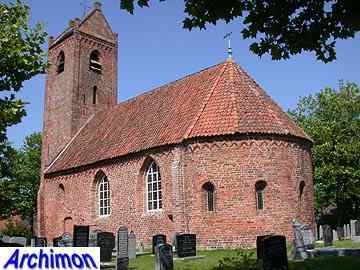 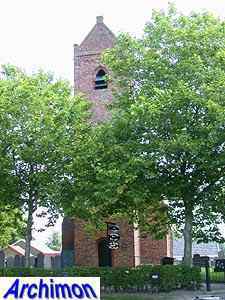 The reformed church of Jistrum (in Dutch: Eestrum) dates from the mid-13th century. 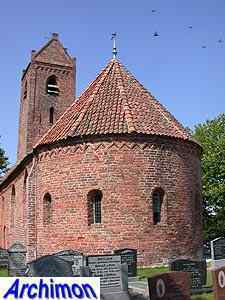 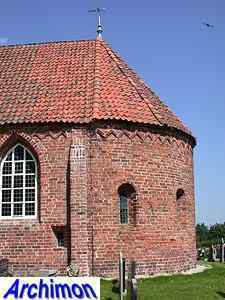 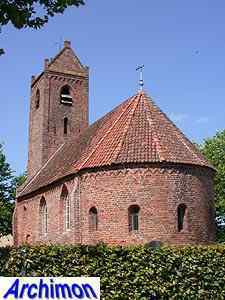 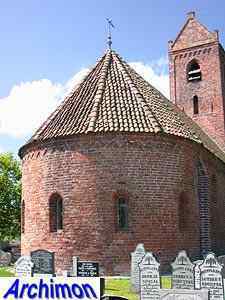 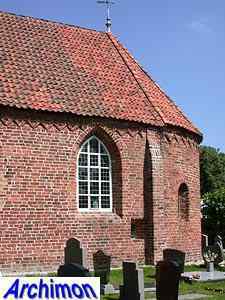 It's a small one-aisled building with a tower with a saddle-roof, as typical for this region and period, and a semi-circular choir. 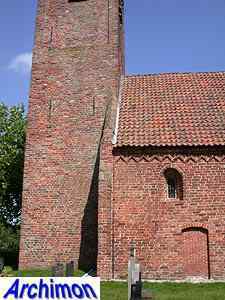 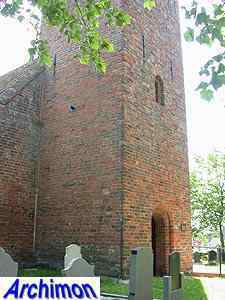 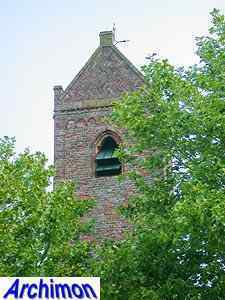 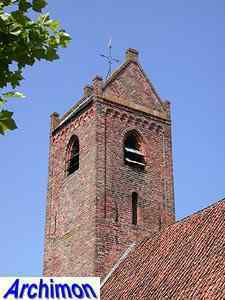 The tower is probably the oldest part of the church and was built in c. 1230. 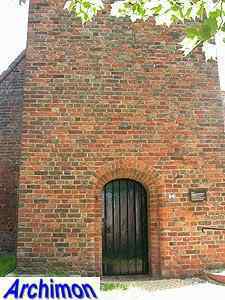 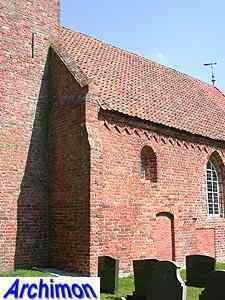 The church was built in Romanogothic style, although this is not very nticeable on the outside. 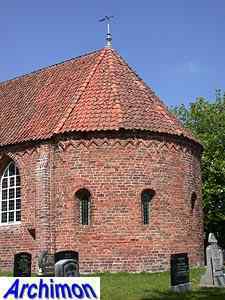 The exterior looks rather Romanesque, but the interior shows typically Romanogothic features, most notably the dome-vaults. 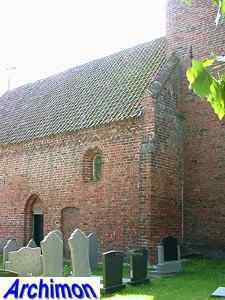 Although the church is currently regarded one of the best preserved medieval churches of the province, it didn't survive completely intact. 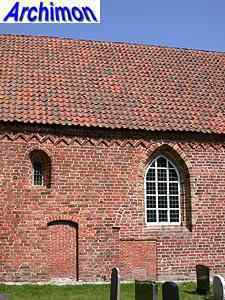 At some time the original small windows In the walls of the nave were replaced by big, pointed ones. 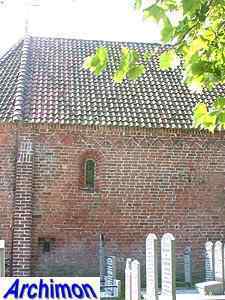 The small windows of the choir were replaced by bigger ones as well, but have been reconstructed as part of a restoration in 1947-1949.